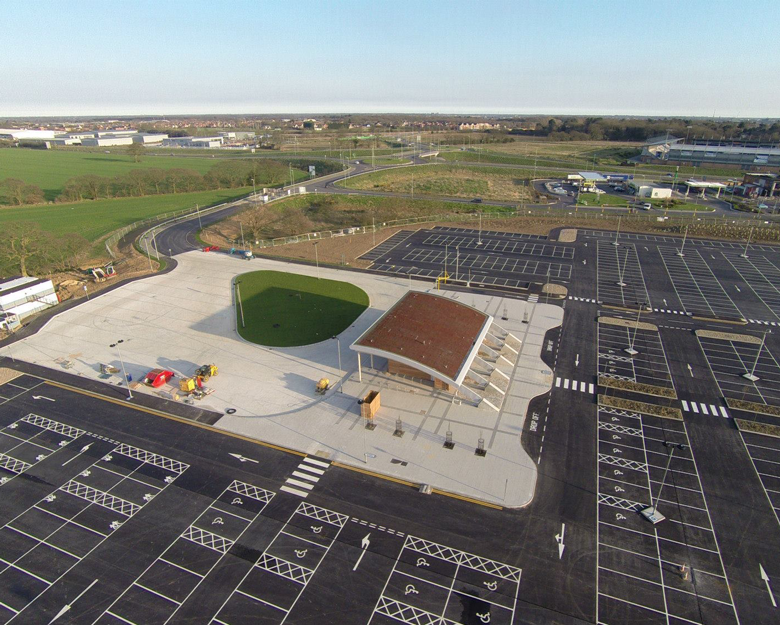 Taydal were selected as the trusted supply chain partner of Morgan Sindall to deliver surfacing package to Colchester’s prestigious new Park & Ride facilities. Taydal’s reputation and track record to deliver fast track quality installations made us the perfect contractor. The 26000m2 new installation of SMA 10 wearing course, and binder course, was carried out under a three construction programme where performance was fundamental to the overall success of the contract. The site encountered waterlogging that caused critical delays to the project. Under normal circumstances an extension of time would have been granted, however, due to the high profile opening date this wasn’t an option. Taydal Surfacing completed the whole project within the critical accelerated timescale and we received high praise from Morgan Sindall’s site team and Director’s. Taydal Surfacing were therefore tasked to undertake the installation under an accelerated programme where the success or failure of the entire project was in our hands. This type of fast track work really played to our strengths. Multiple gangs were deployed to carry out machine and hand lay operations, which were planned and overseen by our highly knowledgeable and resourceful Managing Director, Wayne Dale.